The Alumni Lounge is not currently available for rentals. Please check back for availability. Interested in booking a wedding or event at Saint Ignatius? Contact Tina Bobor in the school’s Operation Department at tina.bobor@ignatius.org or at 312-432-8444. The alumni community is important to Saint Ignatius and we want to support alumni to stay connected to one another. For that reason, Saint Ignatius College Prep is proud to have partnered with generous alumni to create such a space, located at 1019 S. May St., just northwest of the school. The Anthony Fornelli ‘51 Alumni Lounge is available for your use, including the use of the Class of ‘67 Skydeck and all physical amenities. In keeping with the spirit of the space, we do encourage you to make a donation to support current Saint Ignatius students through the Tuition Assistance Program. The Anthony Fornelli '51 Alumni Lounge located at 1019 South May Street includes multiple rooms and facilities. These include the Fornelli ‘51 Alumni Lounge, the Class of ‘67 Skydeck, the accompanying side room, the lavatory, and storage facilities. See more photos of the Lounge. 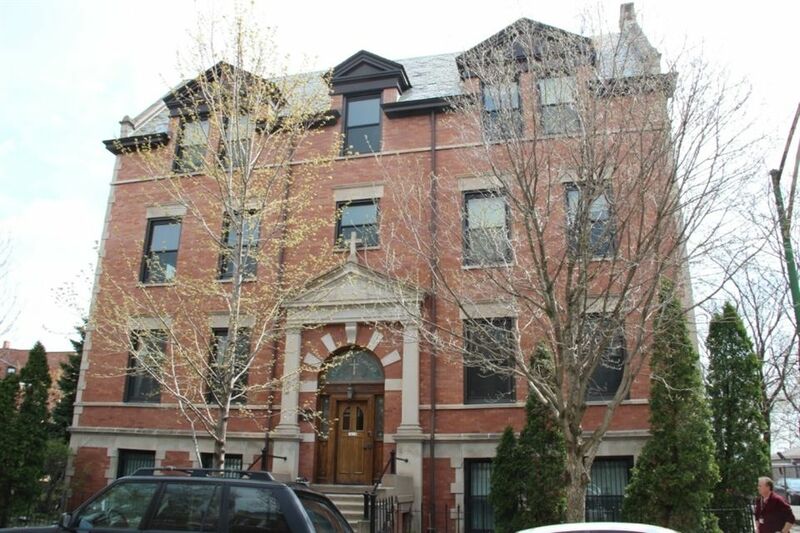 The building is shared by the volunteer teachers of the LU-CHOICE community (residing on the 2nd and 3rd floor), the Holy Family Scholars program (occupying the southwest corner office on the 1st floor), and CROSO (whose office is in the basement). Based upon the size of your party and your graduation year (or connection to Saint Ignatius), the Development Office suggests the following donation amounts. You may mail a check to 1076 W. Roosevelt, Chicago IL 60608 or donate online. Friday - Sunday: Please email Molly.MacCready@ignatius.org to discuss. We hope you enjoy this unique space available for Saint Ignatius’ alumni made possible by the generosity of Tony Fornelli ’51. Any additional questions regarding reservations of the Alumni Lounge can be emailed to Molly.MacCready@ignatius.org. You can also reach Molly by phone at 773-682-8248. Molly works in a part-time capacity for Saint Ignatius, so please be sure to communicate in advance to make arrangements and receive feedback.